The Mayor of Boston, Thomas M. Menino, recently announced improvements to walkways and pathways to parks in downtown. Crews have already started working on the areas commonly traveled by pedestrians on Boston Common, the Commonwealth Avenue Mall and the Public Garden. According to the City of Boston, crews will be starting on the walkways that need work the most. In some areas, entire swaths of these walkways will be repaired while other areas will be “sport treated.” In areas being “spot treated,” these walkways have some serious tripping hazards and even have problems with puddling during and after rain. These walkways will be fixed with “minimal disturbance” to vegetation in the area. Officials plan on keeping tree canopies as they’re critical to the health of the parks as well as the appeal to residents and visitors. Our Boston personal injury attorneys understand that our city and property owners have a responsibility to keep sidewalks safe for residents and visitors. When this doesn’t happen — accidents do. Premises liability is the legal responsibility that property owners have for injuries that occur on their property due to slip and fall accidents. If someone slips, trips or falls because of a dangerous condition, then it’s usually the property owner who is responsible for the damages. In many cases, you’re able to collect medical expenses, pain and suffering and even compensation for lost work. In most cases, construction crews will be adding a new layer of concrete. This is going to help to get the sidewalks back to an even surface. Where more work is needed, construction crews will go in and will repair the sub-base. While these repairs are being made, pedestrians are asked to be careful. The one thing that might be worse than these aged sidewalks are the dangers presented with crews on the scene working to repair. Mayor Menino is asking departments to start brainstorming on ways to help keep our sidewalks in good-working order. He says that the Boston Parks and Recreation Department will be using the near $1 million capital project to help to make sure that the sidewalks and other walkways in the area will make it through the year. In Boston Common, construction crews will be installing an filtration basin underneath the walkway. This park has seen a lot of issues with puddling and other water-related problems with the recent storms. This new system will help to drain storm water and help it seep into the ground so that pedestrians can walk along walkways now engulfed in puddles. If you’re walking through the area, you’re going to see fencing and other signs of constrution. Statutes in the area will also be covered for preservation. 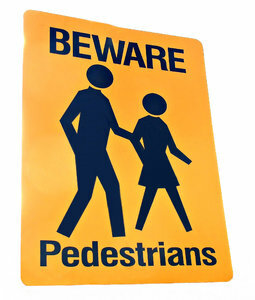 Pedestrians might also run into plywood covering artworks and other obstructions. Officials say that the entire project may not be completed until Spring 2013. If you’ve been injured in an accident, contact The Law Offices of Jeffrey S. Glassman for a free and confidential consultation to discuss your rights. Call 877-617-5333.